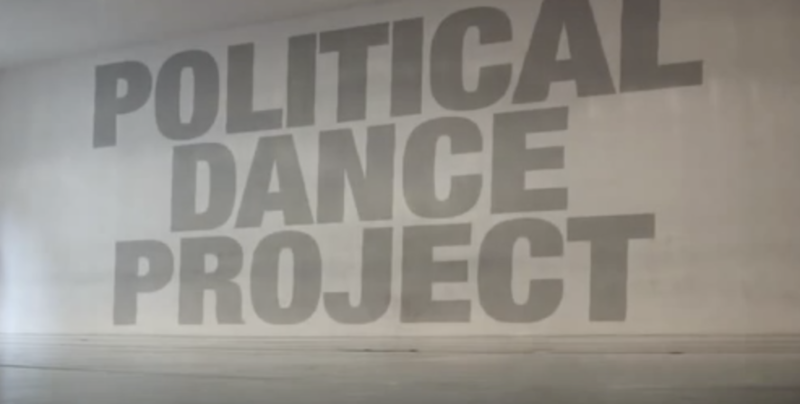 As citizens Across America gathered at the polls today to cast their votes for midterm elections, we reflect on the ways in which politics and dance are connected through American culture and history. Countless artists today express their political views through fashion, visual art, and of course, music and dance. A buzz worthy example is the recently, critically acclaimed music video for the song “This Is America”, by rapper Childish Gambino (also known as actor Donald Glover, who co-stars in the latest Star Wars film). With raw, thought provoking lyrics, his video is a not so subtle look at current news headlines, addressing topics like racial profiling, police brutality and school shooting. Controversy and all, the song and quirky dancing in the video became an instant viral smash, rising to the top of the charts. Pop stars such as Lady Gaga, Beyonce and Katy Perry have used their tremendous platforms to advocate for various causes affecting the LGBTQIA community and other marginalized groups. That as well as joining movements like the Women’s March on Washington, and other protests against current politicians and their counter-progressive measures and policies. Their catchy yet socially conscious tunes have spawned chart topping hits and entire dance crazes, helping to inspire and drive socio-political action, protest and sometimes, ultimately positive change. While it may seem to some as though politically charged art and messaging is something of a present day trend, this couldn’t be farther from the truth. In fact, as far back as the early 1900’s choreographers were creating dances that reflected a wide range of cultural and political perspectives. Some choreographers even crafted dances as vehicles for protest of injustice and to advocate for social reform. Isadora Duncan, Sophia Maslow and Jane Dudley boldly created pieces commemorating the ideas of the “Communist Experiment”, founded by the then Soviet Union, following the Russian Revolution of 1917. In 1929 Isadora Duncan declared “I see America Dancing”, which was a reference to a Walt Whitman poem “I hear America Singing,” proclaiming the ability of dance to be used as a powerful tool for cultural expression. In the 1930’s and 1940’s other notable choreographers such as Daniel Nagrin, Charles Weidman and Eric Hawkins used their talents to fight against racism, homelessness, hunger, workers rights, unemployment, the rise of fascism and other socio-political issues. In response to growing fears over the spread of communism following World War II, the US government sent numerous dance troupes abroad to help ease fears in a show of cultural diplomacy. They also set out to contend anti-American sentiment via the tours, which carried on through the end of the Cold War and Soviet collapse in 1991. Lester Holt, Ted Shawn and other iconic choreographers like Martha Graham and Alvin Ailey created works that paid homage to traditional American folk music, Native American customs and immigrant practices. They also reflected the lives and struggles of marginalized American communities. The exhibition Politics and the Dancing Home investigates how American choreographers used their artistry to promote social consciousness and speak out in social protest between World War 1 and the Cold War. It also exhibits how vital dance has been to America’s cultural and political outlook, particularly throughout the twentieth century. The original exhibition and gallery talks shone during the first half of 2012, and were curated in part by the Library of Congress and Columbia University. Current exhibitions referenced in relation to this are Alvin Ailey American Dance Theater: 50 Years Cultural Ambassador to the World, and American Ballet Theatre: Touring the Globe for 75 Years. To learn more about the impact of dance on our political landscape, the Library of Congress directs readers to its websites with related subjects such as Katherine Dunham, Martha Graham, and “The New Deal Stage: Selections from the Federal Theater Project, 1935–1939”.